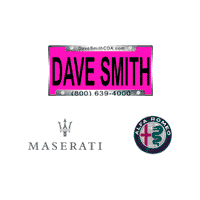 Dave Smith CDA on 4th Street just south of I-90 is the place to find a used car in Coeur d’Alene. Our ever-changing inventory may include many popular used cars such as: Chevy Malibu, Dodge Challenger, Cadillac CTS, Mazda 3, Nissan Altima, Subaru Impreza, Toyota Corolla, Volkswagen Jetta and more. Our inventory changes daily, but we always have a great selection of used cars for you to choose from at Dave Smith in Coeur d Alene. If you cannot find the car you are looking for CONTACT US and we will look for a used car that meets your selections and let you know when it becomes available. Do you have a car to trade-in? Are you curious what your car is worth? Just talk to your sales person about your trade-in and we can work that into the deal when you purchase your new or used car. Meet our fantastic One Owner Accident-Free 2019 Subaru WRX Premium Sedan brought to you in Crystal Black Silica! Powered by a TurboCharged 2.0 Liter 4 Cylinder that offers a healthy 268hp on demand while connected to a quick shifting 6 Speed Manual transmission to launch it to 60mph in under 6 seconds. This All Wheel Drive team scores 26mpg on the open road plus is a blast to drive and a pleasure to own. Take some time to examine the photos of this beautiful WRX Premium and notice the hood scoop, stunning wheels, fog lights, dual exhaust, rear spoiler, and overall aggressive stance. Inside our WRX, the supportive sports seats wrap you in luxury so you can drive all day in comfort and style! You'll be happy with the convenience of full power accessories, automatic climate control, 60/40 split folding rear seats, and a leather-wrapped steering wheel. Additionally, the WRX includes Bluetooth connectivity, Starlink infotainment, a central display, smartphone app integration, and a great sound system with auxiliary/USB inputs and available satellite radio so you can listen to whatever music suits your mood. Our Subaru received top safety scores with traction/stability control, a rearview camera, anti-lock disc brakes, and advanced airbags. Get behind the wheel of our WRX, and you will soon know why it has been a favorite of driving enthusiasts everywhere. Print this page and call us Now-We Know You Will Enjoy Your Test Drive Towards Ownership! 2019 Subaru WRX AWD 2.0 Liter 6 Speed Manual Air, Cruise, Tilt, Power Windows, Locks & Mirrors, Manual Seats, Front Bucket Seats, Heated Seats Keyless Entry, Auto Climate Control, Rear Defrost, AM/FM, CD Player, Auxiliary Input, USB Port, External Temperature, Bluetooth, Steering Wheel Radio Controls, HomeLink, Satellite Radio Capable, Tire Pressure Monitor, Back Up Camera, Traction Control, Sunroof Tint, - **Vehicle Options listed are when the unit was originally built. Please confirm the accuracy of the included equipment by calling the dealer prior to purchase. This 2018 Nissan Sentra SR Turbo is located at Dave Smith Spokane in the SPOKANE VALLEY, to setup a time to test drive this vehicle please give our friendly sales team a call at 509-904-1964 or to visit the full selection of vehicles online at www.DaveSmithSpokane.com The vehicle has a 1.6 liter 4 Cylinder Engine high output engine. This small car has an automatic transmission that includes a manual shifting mode. This unit is front wheel drive. Enjoy the tried and true gasoline engine in this model. This vehicle has air conditioning that feels like a walk-in refrigerator. It has an aux input for mp3 players. See what's behind you with the back up camera on this Nissan Sentra. Enjoy the heated seats in this vehicle you will never buy a vehicle without them. Everyone loves the comfort of having a warm seat on those cold winter days. Quickly unlock this Nissan Sentra with keyless entry. This model looks sharp with a moon roof. You'll never again be lost in a crowded city or a country region with the navigation system on it. Power windows are a must have modern convenience. The satellite radio system in this 2018 Nissan Sentra gives you access to hundreds of nation-wide radio stations with a clear digital signal. Keep yourself cool in the summer with the premium quality tinted windows. Good News! This certified CARFAX 1-owner vehicle has only had one owner before you. - **Vehicle Options listed are when the unit was originally built. Please confirm the accuracy of the included equipment by calling the dealer prior to purchase. This 2018 Chevrolet Malibu Red Line Edition is located at Dave Smith Spokane in the SPOKANE VALLEY, to setup a time to test drive this vehicle please give our friendly sales team a call at 509-904-1964 or to visit the full selection of vehicles online at www.DaveSmithSpokane.com This unit has a 1.5 liter 4 Cylinder Engine high output engine. This model has an automatic transmission. This unit is front wheel drive. Protect the Malibu from unwanted accidents with a cutting edge backup camera system. Engulf yourself with the crystal clear sound of a BOSE sound system in this vehicle. This model features cruise control for long trips. The Electronic Stability Control will keep you on your intended path. This Chevrolet Malibu features a hands-free Bluetooth phone system. With the keyless entry system on it you can pop the trunk without dropping your bags from the store. The leather seats are soft and supportive on the vehicle. Help alleviate lower back pain with the driver seat lumbar support in this Chevrolet Malibu. The installed navigation system will keep you on the right path. This unit is outfitted with an OnStar communication system. This model comes with power adjustable seat to get your seat just right for you. Power seats are a must! It has convenient power windows. - **Vehicle Options listed are when the unit was originally built. Please confirm the accuracy of the included equipment by calling the dealer prior to purchase. Our One Owner 2018 Ford Fusion Titanium AWD Sedan turns heads in Shadow Black! Powered by a TurboCharged 2.0 Liter EcoBoost 4 Cylinder that offers 240hp while connected to a responsive 6 Speed Automatic transmission. Nimble and precise, this All Wheel Drive Sedan delivers a composed ride that's comfortable for all-day trips while scoring near 31mpg. Our Fusion illustrates its style cred with alloy wheels, automatic headlights, a power sunroof, and LED daytime running lights. With upscale materials and meticulous attention to detail, the Titanium interior appeals to every sense with a wealth of amenities including Intelligent Access with remote start, the new low-profile rotary gear shift dial, heated leather sport seats, full power accessories, a rearview camera, and 60/40-split folding rear seats. SYNC 3 helps keep you connected with enhanced audio and phone voice commands, an 8 inch LCD touchscreen, smartphone integration, and a premium Sony Sound System. Confidence comes standard with Ford and safety is a priority with a reverse sensing system, anti-lock disc brakes, traction/stability control, advanced airbags, and the Ford Sync emergency crash-notification feature you'll travel with ease. Parents will especially appreciate the added peace of mind of Ford's MyKey, which can be used to set certain parameters for your teen drivers. Distinctive in style and highly efficient with substantial power and security, this Fusion is the intelligent choice for you! Print this page and call us Now... We Know You Will Enjoy Your Test Drive Towards Ownership! - **Vehicle Options listed are when the unit was originally built. Please confirm the accuracy of the included equipment by calling the dealer prior to purchase. Take on every adventure with our One Owner Clean Carfax 2018 Honda Accord Sport Sedan shown proudly in Obsidian Blue Pearl! Fueled by a TurboCharged 1.5 Liter 4 Cylinder that offers 192hp while paired CVT for amazing passing power! The Front Wheel Drive gives you a sporty feel that will make you smile while offering near 35mpg and setting the benchmark as America's top-selling family sedan. Sleek and stylish, the all-new standard LED fog lights, chrome exhaust finishers, a flashy rear spoiler, and distinct alloy wheels. Inside of our Accord Sport, you will see that it is crafted just for you with convenience and comfort in mind. Take a seat and find your happiness in our highly supportive 12-way power driver seat behind a leather-wrapped steering wheel. Take note of amenities at your fingertips such as Apple CarPlay and Android Auto Integration, multi-angle rearview camera, Bluetooth Handsfree Link. Not only is our Honda an exceptional blend of performance, efficiency, and amenities, it also enjoys a sterling reputation for safety with the all-new Honda Sensing which comes standard in all models and includes advanced safety features such as a collision mitigation braking system, road departure, lane assist, and even traffic sign recognition. This Accord is a smart choice all-around! Print this page and call us Now... We Know You Will Enjoy Your Test Drive Towards Ownership! 2018 Honda Accord Sport 1.5 Liter Automatic Comfort and Convenience: Air, Cruise, Tilt, Power Windows, Locks & Mirrors, Power Driver Seat, Front Bucket Seats, Keyless Entry, Keyless Start, Dual Climate Control, Rear Defrost, Entertainment & Instrumentation: AM/FM, USB Input, External Temperature, Steering Wheel Radio Controls, Safety: Tire Pressure Monitor, Back Up Camera, Traction Control, - **Vehicle Options listed are when the unit was originally built. Please confirm the accuracy of the included equipment by calling the dealer prior to purchase. This 2018 Dodge Charger GT is located at Dave Smith Spokane in the SPOKANE VALLEY, to setup a time to test drive this vehicle please give our friendly sales team a call at 509-904-1964 or to visit the full selection of vehicles online at www.DaveSmithSpokane.com It has a 3.6 liter V6 Cylinder Engine high output engine. The vehicle has an automatic transmission. This large car is equipped with all wheel drive. Protect this model from unwanted accidents with a cutting edge backup camera system. Bluetooth technology is built into the Charger, keeping your hands on the steering wheel and your focus on the road. This unit features a HomeLink System. The leather seats are soft and supportive on this unit. The state of the art park assist system will guide you easily into any spot. Good News! This certified CARFAX 1-owner vehicle has only had one owner before you. Our dealership has already run the CARFAX report and it is clean. A clean CARFAX is a great asset for resale value in the future. - **Vehicle Options listed are when the unit was originally built. Please confirm the accuracy of the included equipment by calling the dealer prior to purchase. This 2018 Cadillac CTS Luxury AWD is located at Dave Smith Spokane in the SPOKANE VALLEY, to setup a time to test drive this vehicle please give our friendly sales team a call at 509-904-1964 or to visit the full selection of vehicles online at www.DaveSmithSpokane.com It has a 3.6 liter V6 Cylinder Engine high output engine. This mid-size car has an automatic transmission. Conquer any rainy, snowy, or icy road conditions this winter with the all wheel drive system on the vehicle. The CTS has an elegant black exterior finish. Engulf yourself with the crystal clear sound of a BOSE sound system in the vehicle. Set the temperature exactly where you are most comfortable in this vehicle. The fan speed and temperature will automatically adjust to maintain your preferred zone climate. Power windows are a must have modern convenience. Our dealership has already run the CARFAX report and it is clean. A clean CARFAX is a great asset for resale value in the future. Good News! This certified CARFAX 1-owner vehicle has only had one owner before you. - **Vehicle Options listed are when the unit was originally built. Please confirm the accuracy of the included equipment by calling the dealer prior to purchase. Reward yourself with high performance and advanced technology behind the wheel of our One Owner Clean Carfax 2018 Chevrolet Camaro 1SS Convertible that's irresistible in Nightfall Gray Metallic! Powered by a massive 6.2 Liter V8 that offers 455hp while paired with a responsive 8 Speed Automatic transmission. Feel your pulse pound as you sprint to 60mph in an astonishing 4 seconds and score near 26mpg on the highway in this ultra-Unique machine that is lighter, leaner and meaner than ever before! Sculpted to aerodynamic perfection, our Convertible 1SS is an absolute show-stopper with a unique rear stanchion spoiler, HID headlights with halo rings, 20-inch bright aluminum wheels, and a full assertive grille with integrated brake cooling ducts. Optimized for performance driving, the 1SS cabin greets you with a flat-bottom heated steering wheel, a high-resolution driver information center with full-color navigation, and a rear vision camera. Settle into the supportive heated sport seats and find your favorite song via Chevrolet MyLink radio with a prominent touchscreen and available satellite radio, then prepare to feel the rush that can only come from American-made muscle! Our Chevrolet Convertible not only features passionate performance and stand out style, but it also offers peace of mind with a wealth of advanced safety features such as daytime running lamps, advanced airbags, stability control, available OnStar Emergency Services, and its ultra-high-strength steel safety cage. Reward yourself with meticulous design and engineering mastery! Print this page and call us Now... We Know You Will Enjoy Your Test Drive Towards Ownership! 2018 Chevrolet Camera SS RWD 6.2 Liter Automatic Comfort and Convenience: Air, Cruise, Tilt, Power Windows, Locks & Mirrors, Dual Power Seats, Rear Defrost, Dual Climate Control, Heated & Cooled Seats, Keyless Start, Keyless Entry Entertainment & Instrumentation: AM/FM, Satellite Radio Capable, Bluetooth Capable, Navigation, Steering Wheel Radio Controls, External Temperature Safety: Traction Control, Backup Camera Exterior: Tint, Convertible - **Vehicle Options listed are when the unit was originally built. Please confirm the accuracy of the included equipment by calling the dealer prior to purchase. Rekindle your love of driving behind the wheel of our One Owner Accident-Free 2018 Chevrolet Camaro Coupe ZL1 that's turning heads in Red Hot! Powered by a prepped SuperCharged 6.2 Liter V8 that generates a phenomenal 650hp with its quick shifting 6 Speed Manual transmission with Active Rev Matching. Your pulse will pound as you sprint to 60mph in an astonishing 4 seconds and score near 20mpg on the highway! Engineered for precise driving with a sophisticated performance suspension system and other innovative technologies, our Rear Wheel Drive Coupe commands the road! Our Camaro Coupe ZL1 is an absolute show-stopper with its beautiful Dark Graphite forged aluminum wheels, HID headlights with halo rings, trunk spoiler wing, and a wide assertive grille with integrated brake cooling ducts. Optimized for performance driving, the cabin of our ZL1 greets you with a flat-bottom steering wheel, a full-color high-resolution driver information center, spectrum lighting, and a rear vision camera. Settle into the supportive RECARO performance heated front bucket seats, grip the suede microfiber-wrapped heated steering wheel, and find your favorite song via Chevrolet MyLink radio with a prominent touchscreen, Bose premium sound system, and available satellite radio. Buckle up and prepare to feel the rush that can only come from this incredible muscle car. Our Chevrolet not only features passionate performance and stand out style, but Camaro ZL1 also offers peace of mind with a wealth of advanced safety features such as a head-up display, side blind zone alert, rear park assist, and its ultra-high-strength steel safety cage. Reward yourself with high performance and innovative technology. Print this page and call us Now... We Know You Will Enjoy Your Test Drive Towards Ownership! 2018 Chevrolet Camaro ZL Manual 6.2 Liter Comfort and Convenience: Air, Cruise, Tilt, Power Windows, Locks & Mirrors, Keyless Entry, Keyless Start, Dual Power Seat, Heated Seat, Cooled Seat Entertainment & Instrumentation: AM/FM Radio, Premium Sound, Navigation Capable, Bluetooth, OnStar Capable, Steering Wheel Radio Control Safety: Traction Control, Back up Camera - **Vehicle Options listed are when the unit was originally built. Please confirm the accuracy of the included equipment by calling the dealer prior to purchase.